Pinterest is filled with boards dedicated to the idea of magical weddings. Walt Disney World just opened a dress shop with princess-inspired cocktail dresses for wedding goers. And with the live action release of Beauty and the Beast, Disney inspired weddings are sure to enjoy an uptick in 2017. With spring’s official arrival comes spring fever and spring break vacation. It has such a nice ring, doesn’t it? Let’s say that again – vacation. 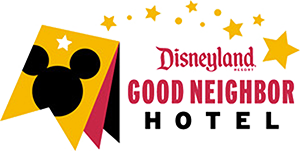 Spring is also springing up deals at Anaheim Majestic Garden Hotel.